I Hosted a Resume Party! By now it is pretty much common knowledge that 68% of American women wear a size 14 and over. However, one thing that isn’t included with this statistic is the economic disparities that come from work place discrimination based on weight and size. According to a 2016 study by the Census Bureu, workers who are heavier than the average are paid $1.25 less an hour and over a 40 year career, they will earn up to $100,000 less before taxes than their thinner counterparts. As you can imagine these numbers just get more complex and disheartening once, gender, race and ethnicity comes to play. 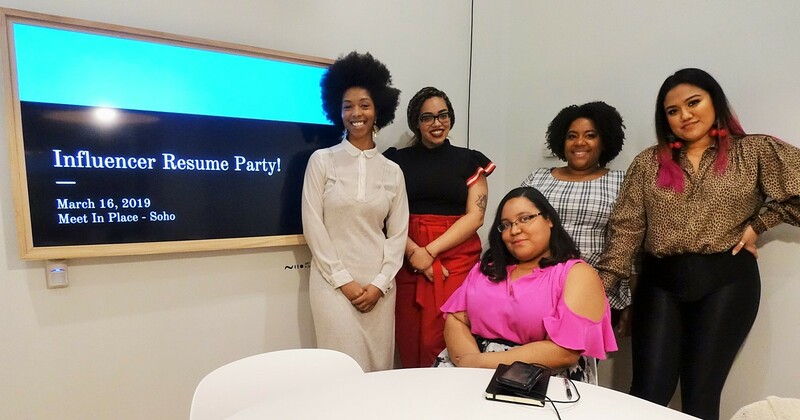 It was with all this in mind that I decided to host a resume party – an informal gathering for the purpose of getting resume feedback and discuss goals, and other career development insights. Originally this was just going to be simple. Just a few of my friends in my living room, probably talking over some pizza, however, once I started writing out the “guest list” I realized that this needed to be a bit bigger than what I was planning. Of the eight people that were to be in attendance, six of us are influencers building and maintaining our own individual brands, be it for beauty and fashion, fashion illustration, food or makeup artistry, while also doing out best to prosper in our traditional careers outside of that social media sphere. You can’t have any kind of party without snacks!